Texas is such a large and diverse state that there is no one way to approach any issue. Recently, I have become convinced that an engaged and voting citizenry is the best solution to both of these challenges facing our state. Haskell ISD’s trustees have encouraged our employees to make voting a habit. 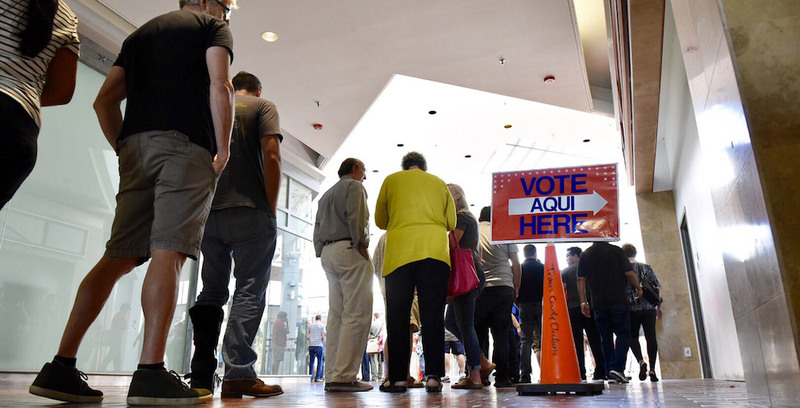 Too few Texans take this civic responsibility seriously, and as a result, often less than 10 percent of our voting population is making decisions about who represents us. In my opinion, if Texans are to have a government that is truly representative of the people who live here, education holds the key. In the rural areas of our state, educators are respected. When a community knows its educators value voting by observing them at the voting sites, it can change the behavior of the whole town. Also, other than being taken to the voting booth by a parent, what better way is there to stress the importance of voting than for teachers to model the value of voting for children? Our school board has only asked our employees to register to vote, learn about the issues and candidates so they can make an informed decision and then vote. After all, if voting is to become a habit, it must be practiced during every election! This year, Texas educators seem to be “fired up” about voting in the Texas primary. State Sen. Paul Bettencourt, R-Houston, asked Texas Attorney General Ken Paxton for an opinion about the legality of some of the strategies schools have used to get people to vote. In his request, Bettencourt asked if in the AG’s opinion it is legal for school districts to provide transportation for students and staff to and from polling places and whether legal constraints exist on the use of public funds to support political advertising. In a non-binding opinion, Paxton said that transporting staff to vote is unacceptable and that students could only be taken on school transportation if it “served an educational purpose.” He further said that the mere act of voting served no educational purpose. While the AG stated that public funds cannot be used for political advertising, I can offer my assurance that no political advertising is occurring in my school district. Schools are dedicated to the art of learning. A recognized educational axiom is the value of “learning by doing.” While there can be real value in learning from a textbook, some of the most important educational experiences involve actually performing a task to reinforce the classroom lesson. Most science classes, for instance, incorporate laboratory experiences to reinforce classroom lessons. My school district does not carry staff or students to vote. However, if voting is the bedrock of our democracy, then what better educational exercise can a school perform than to ensure that eligible students are voting by taking those who want to vote on a school bus? Seeing their teachers and other educators on that bus can only reinforce to students the importance of voting. I believe there is an educational purpose in this, since our students watch every move we make as we do our civic duty.